The last couple of months I have been working on a new exhibition at the Litografiska Museet. After asking myself all these questions about what I wanted to tell this time, I discovered that the answer is exactly quite obvious. My first exhibition was about a more universal question; people moving to a new country, the wanderer, the displaced, people searching their way in life. But this exhibition will be more about my own path, about my searching, my hopes and dreams but also the dark times, which I experienced a couple of years ago. 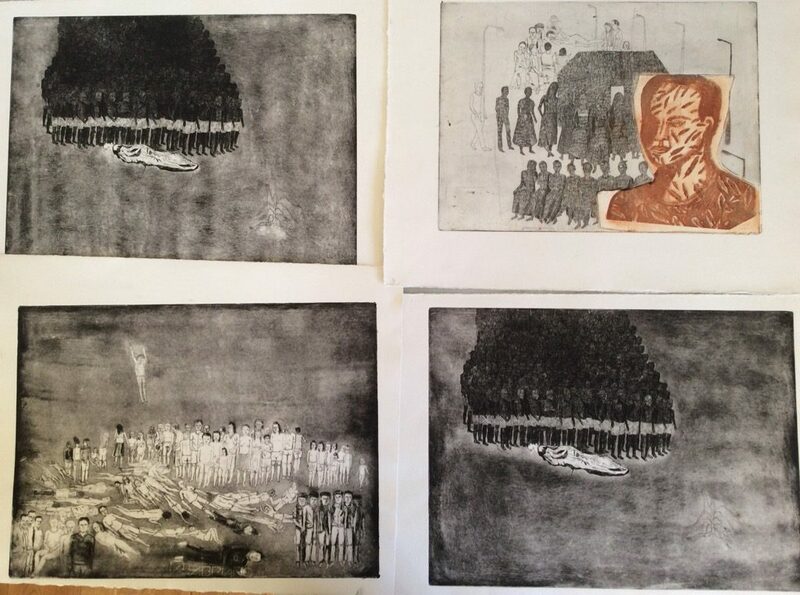 These four etchings represent those dark times; the death of my brother in 2008. I made a lot of etchings during the months and weeks before his death and the year after his death. 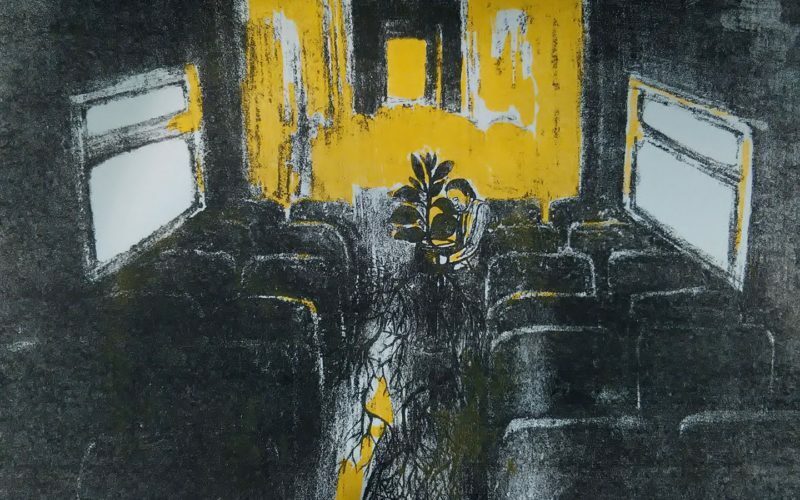 Looking at these etchings again, confronts me with this overwhelming sadness I felt but they also remind me that I survived this very dark period in my life. And that, at some point, I made a choice to take part in life again which I couldn’t the years after; I didn’t see the use of it, the joy about planning a future, it was all pointless to me. And then, after I moved to a new country, I started to notice, bit by bit, that there were so many things I could do, like learning a new language till example, exploring a new landscape, meeting new people, starting a new job. All these opportunities I started to see again. I began to understand what people were talking about when they were planning things. I realised that I had the same right making plans as any other human being. I wasn’t doomed. 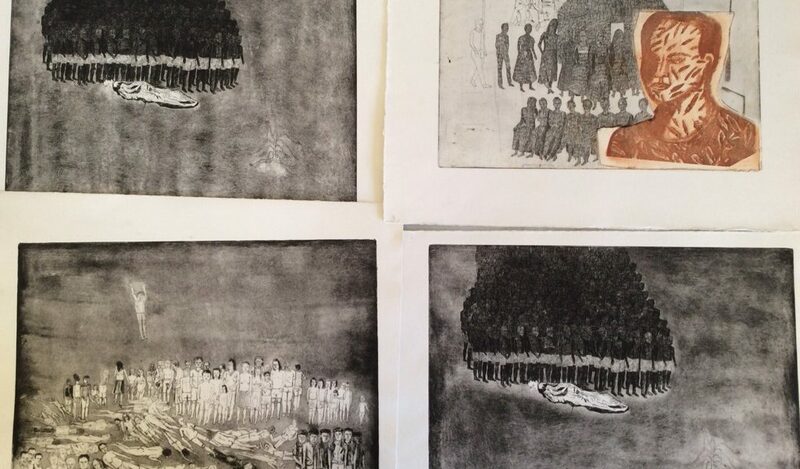 These etchings have set a lot in motion; an overview about my life the last couple of years. Dark times, thats the name of these four etchings. I will show them exactly the same way as on the image above. And after these dark times, the searching begins.